Over the mundane jobs that don’t offer challenge and growth? We are representing an industry leader looking for people that love a challenging career with diversity in their job! 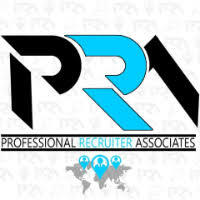 A company that prides themselves in hiring, develop and retaining the best talent! You would be responsible for Company’s external reporting and compliance with Sponsor, Bank, and SEC requirements (including Sarbanes-Oxley).Review of relevant accounting pronouncements and their applicability to company review of SEC, FASB, and other relevant accounting pronouncements for inclusion in the SEC filings. Prepare SEC Forms 10-K and 10-Q support binder for disclosures. Prepare reporting packages for completion by divisions and support functions. Review completed packages and underlying supporting documentation submitted to financial reporting prior to providing to external auditors. Prepare financial statements and reporting packages to meet debt covenant requirements. Draft SEC filings (10-K, 10-Q, 8-K, Debt & Equity Issuances) including MD&A, referencing supporting documentation, etc. Prepare press release tables and maintain supporting documentation. Assist external auditors in review of financial statements, as required. Perform Financial Reporting process testing for SOX 404 purposes. Review new and relevant Accounting pronouncements, research and draft disclosures for inclusion in the SEC filings. Assist the Director, Financial Reporting, and Vice President and Controller with accounting research and special projects as required. Assist investor relations with supporting schedules for the conference call script. The ideal candidate will have a minimum of 5-8 years of experience in the financial areas of reporting, internal auditing and public accounting. In addition, must have a BA degree in Accounting, Business, Finance, or other relevant disciplines and a CPA is required.